pulvinar congue pede. Fusce condimentum turpis vel dolor. Ut blandit. Sed elementum justo quis sem. Sed eu orci eu ante iaculis accumsan. Sed suscipit dolor quis mi. 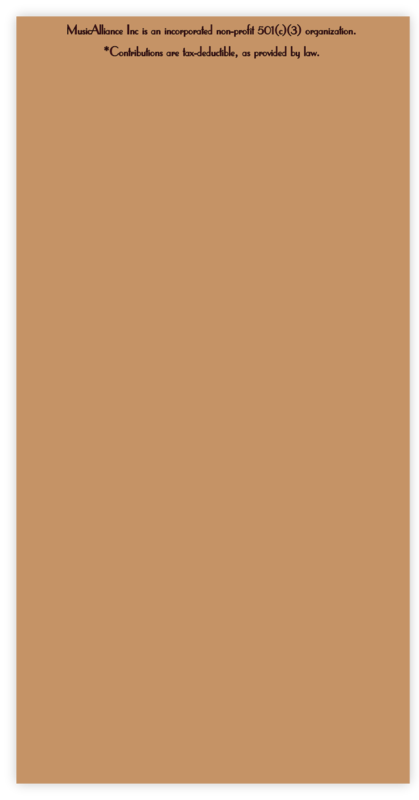 Curabitur ultrices nonummy lacus. Your gift will be acknowledged and listed by level for one year in the concert programs of the schools that we serve and in the concert programs of the regional honors bands that we operate. Those who give at the Bronze Level or above ($500+) will also be listed on the front page of our website. Any individual interested in granting such a gift is encouraged to contact our office at 1-855-333-1357. Contact your financial advisor to learn how a gift of stock or securities may benefit you and MusicAlliance. (such as Charitable Gift Annuities, Trusts, etc) to benefit MusicAlliance. Donating a band instrument to MusicAlliance could mean the difference between whether or not a child joins the band. Donated band instruments will be acknowledged by MusicAlliance through a descriptive receipt issued by our office and with IRS form 8283, as necessary. It is your responsibility to determine the value of the gift for charitable purposes. Contact MusicAllaince regarding instrument donations or other items that our organization may be in need of. 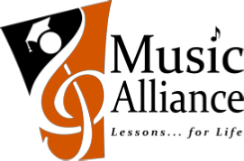 MusicAlliance has a number of volunteer opportunities available for those wishing to donate time to our organization. If you are interested in volunteering, please contact MusicAlliance at 1-855-333-1357. The CMA Foundation - A $10,000 grant for purchasing music for our band programs. Please consider making a *tax-deductible gift to MusicAlliance. we think you will agree that Music is Instrumental to a Sound Education! Go to www.goodsearch.com/choosecause then type our name, MusicAlliance, into the search box, and follow the instructions. Please make sure that you type MusicAlliance as one word (do not put a space between Music and Alliance), otherwise it will have trouble finding us. After you select our organization, and register with GoodSearch, GoodSearch will make a donation to MusicAlliance for each search you do. You can also help MusicAlliance through online shopping, by going to www.goodsearch.com (after following the directions listed above), and clicking on the “GoodShop” tab at the top of the webpage. GoodShop is an online shopping mall that works with more than 2,800 retailers. You can also find hundreds and thousands of discount coupons and other offers. The more you shop, the more you can earn for MusicAlliance. Shopping through GoodShop is exactly the same as going to the retailer website directly – you receive the same prices and level of service, and the retailers still handle order processing, shipping, and returns, but by shopping those retailers through the GoodShop website, our organization is given a donation based on a percentage of each purchase you make. Funds raised will be used to help keep our band program tuition as low as possible. Therefore by helping MusicAlliance, band parents can help themselves also. If our band families utilize GoodSearch and GoodShop to benefit MusicAlliance, it can bring in a significant amount of money to put towards controlling band program tuition costs while also being a time-saving and gas-saving convenience for busy families.